Things to do this Halloween! Written by USD Student Wellness | Tuesday, October 23rd, 2018 at 9:04 am. 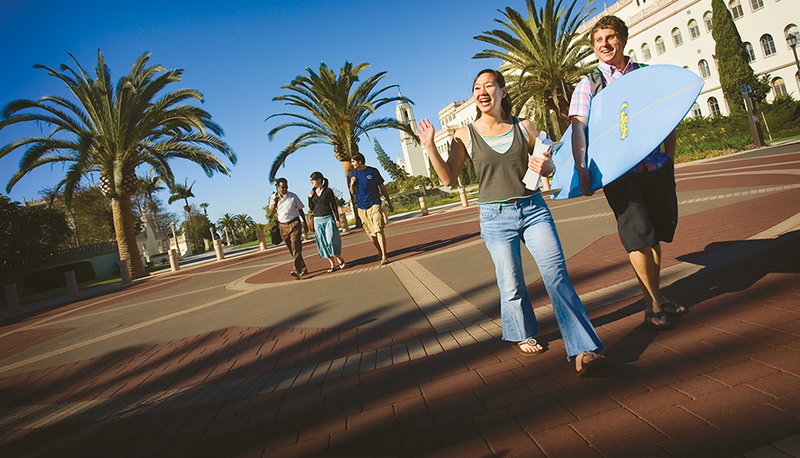 We are kicking off National Collegiate Alcohol Awareness Week here at USD and reminding everyone that there are so many fun things you can do that don’t revolve around alcohol. 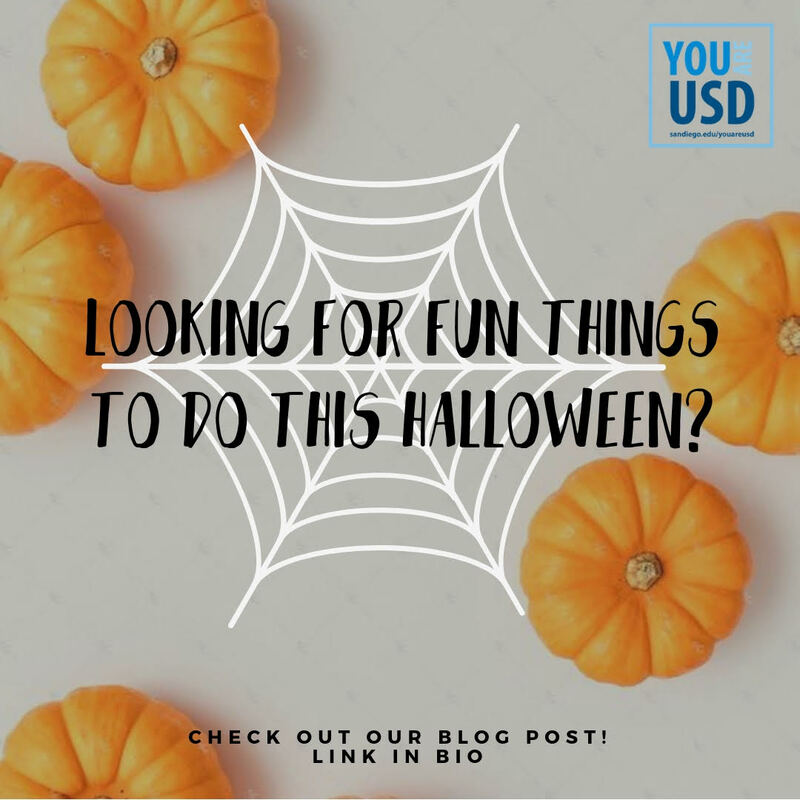 With Halloween approaching we wanted to share some fun things happening on campus and in San Diego that are free or relatively cheap to attend! CHWP interns have compiled a list below of activities and ideas that you can enjoy this upcoming week. Grab your costume and trick-or-treat bag because these are sure to get you in the Halloween spirit! Cookie decorating & ice scream! *Residential Students: Check with your RA for floor-specific programming! A mile long trail through a twisted grove of pines and gnarled oaks in Balboa Park. Watch your back, you never know which way the ghoulish will appear from! Join the Torero Wellness Peer Educators for Trivia Night! Trivia & treats to be enjoyed by all! Free trick-or-treating (6:30–7:30 p.m.), Zombie Laser Tag, pumpkin painting, live performances, costume contests, and more. Every Friday, Saturday, and Sunday in October, as well as Halloween night! A haunted house with creepy dolls, a clown subway, a Zombie infested alley and many more terrifying things! Now through October 31, open evenings: times vary by day but open 6:00 p.m.–1:00 a.m. on Friday and Saturday nights. Through Morley Field/edge of Balboa Park, the cultural heart of San Diego. Prizes will be awarded for best time (by distance, by age group and costume categories) as well as best costume. Pumpkin decorating and a Pumpkin sprint are also part of the fun activities. Performed live and complete with audience participation, props and callouts, the quintessential cult theatrical experience “The Rocky Horror Picture Show” opens this Oct. 12 at the OB Playhouse! Join us for a very special Halloween night performance and costume contest. Attend the show dressed in your costumes for a chance to win Season Pass Subscriptions!